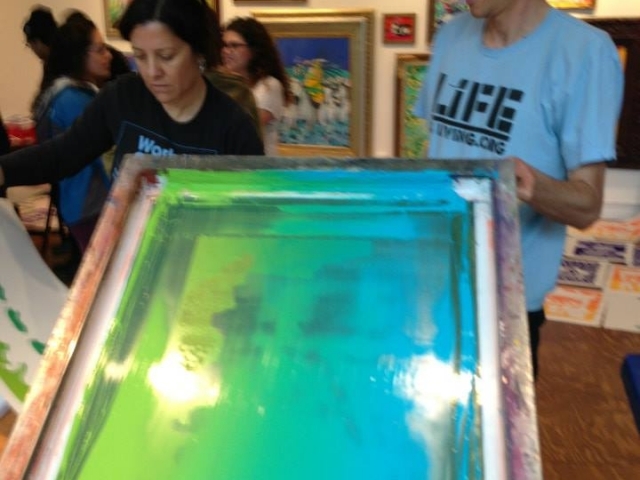 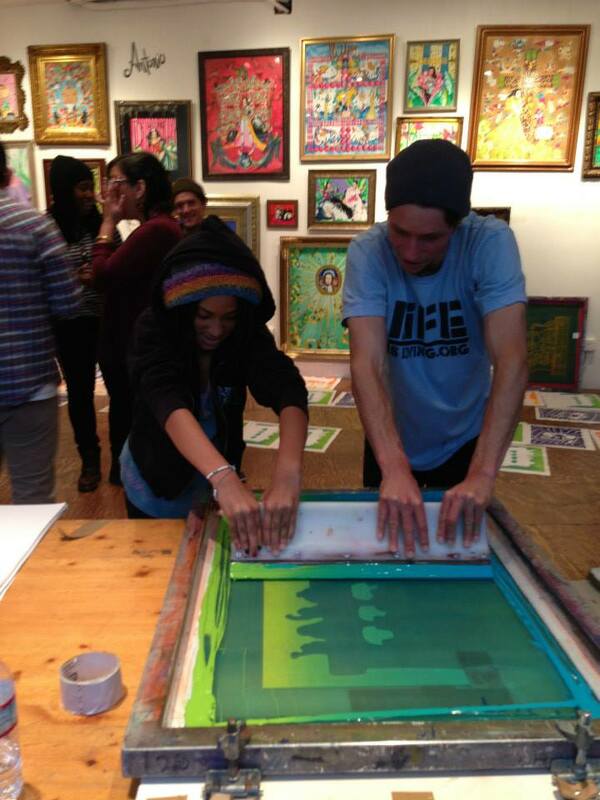 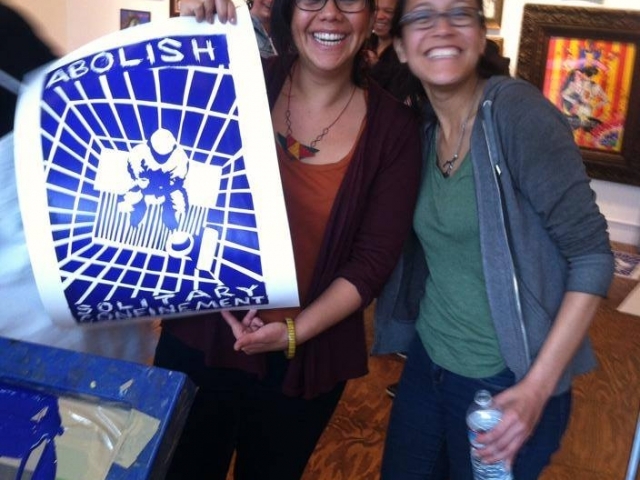 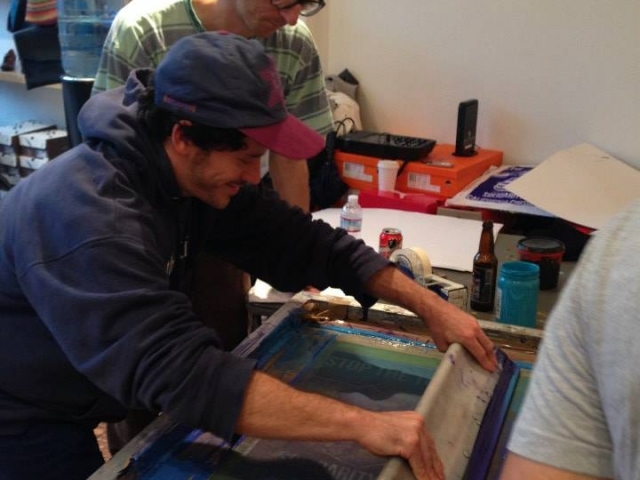 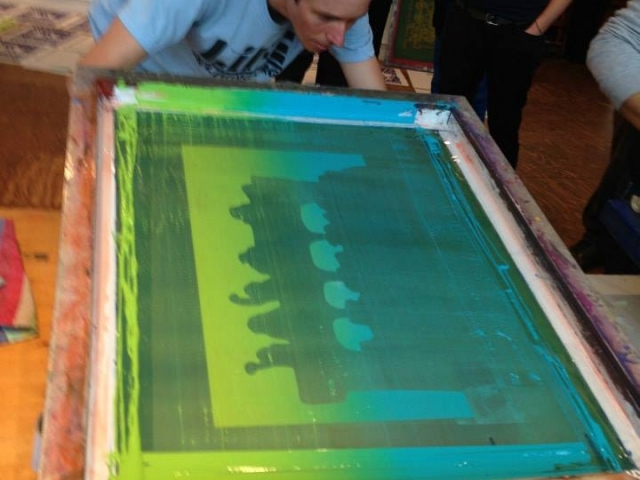 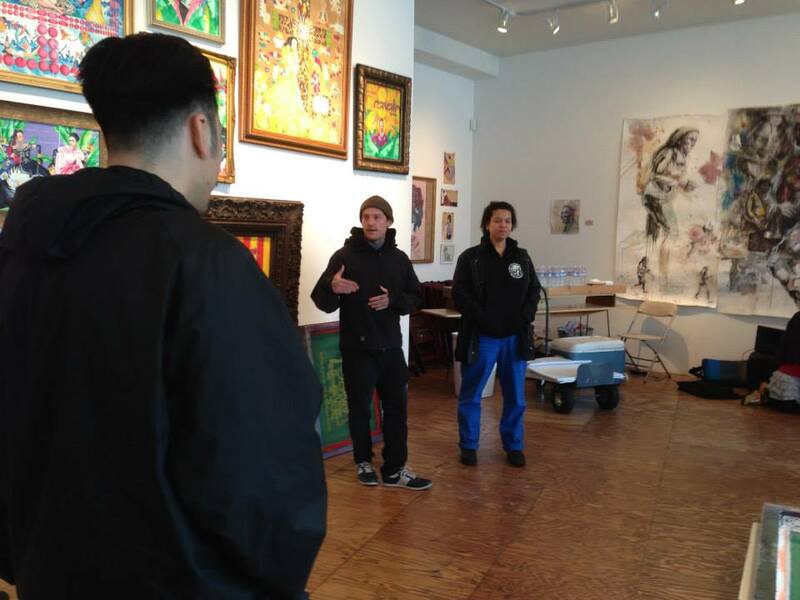 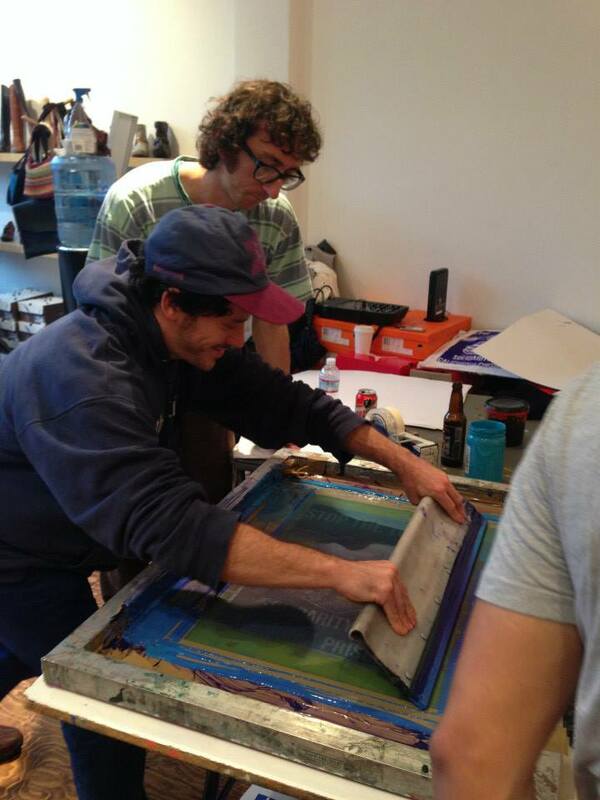 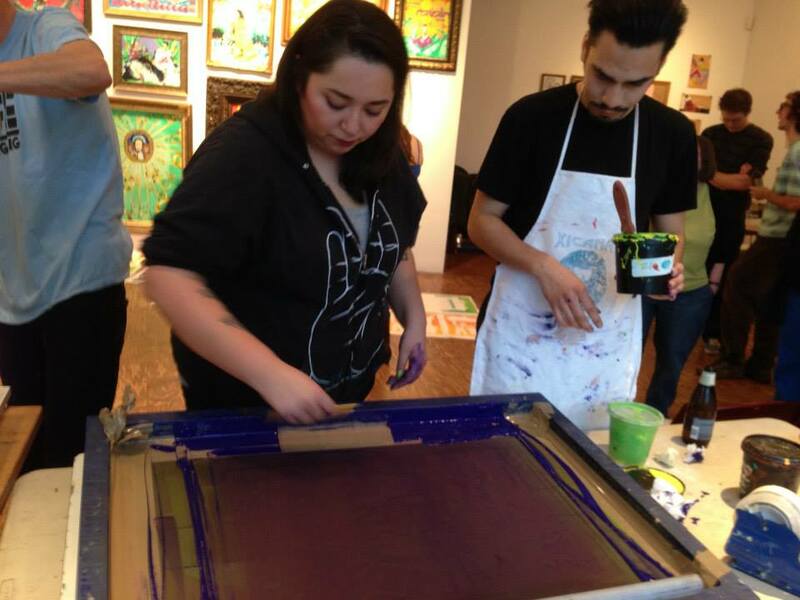 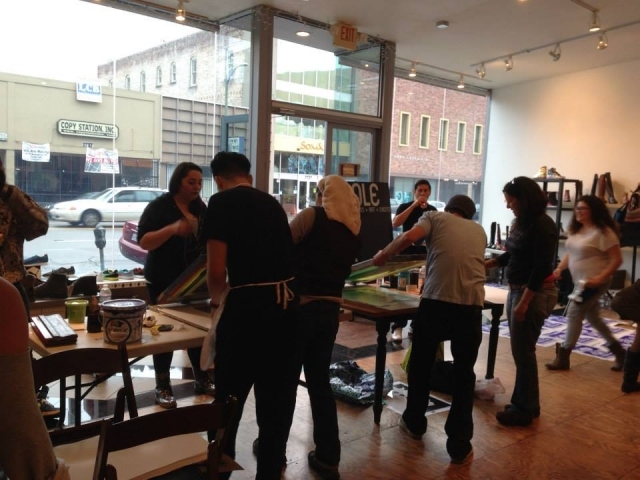 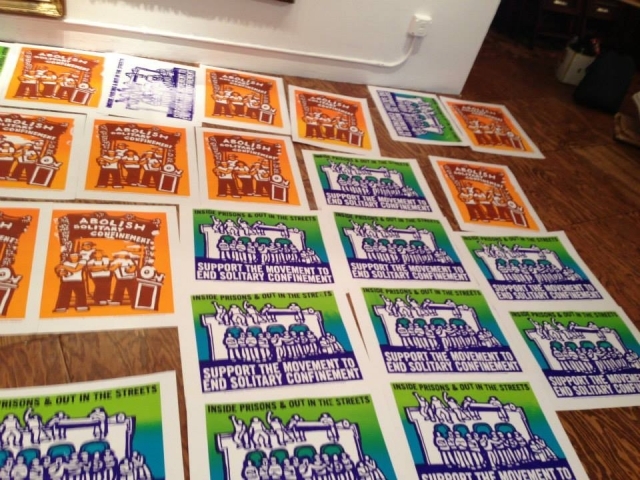 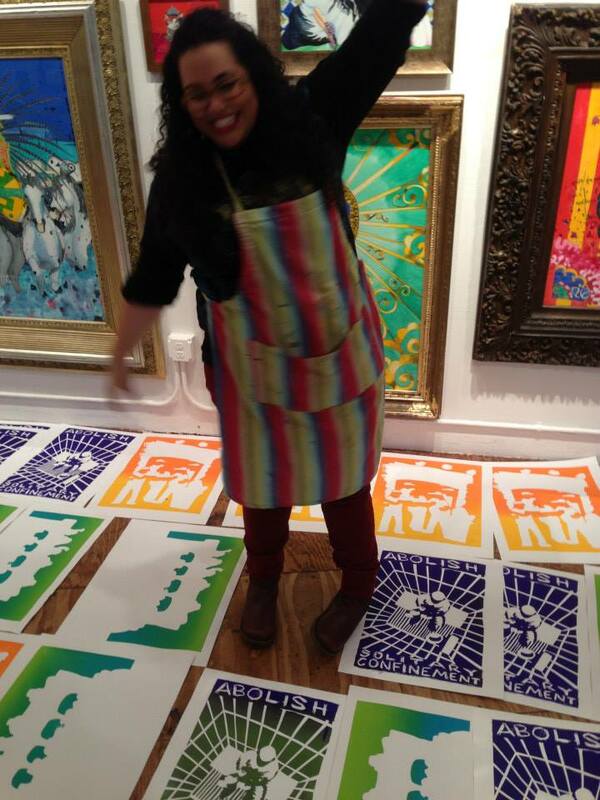 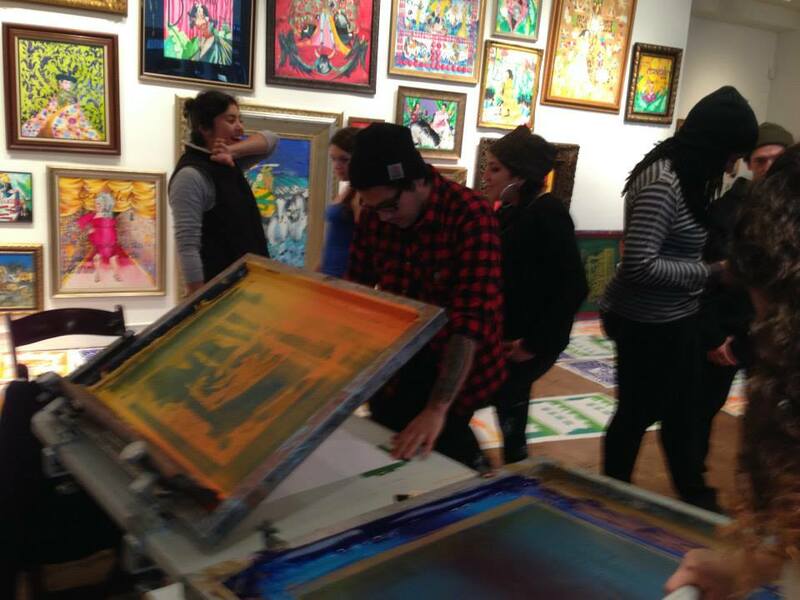 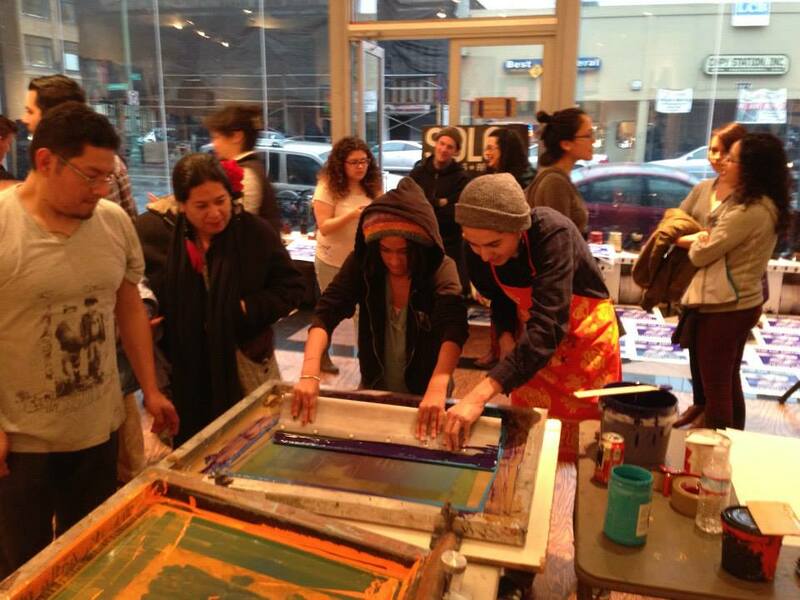 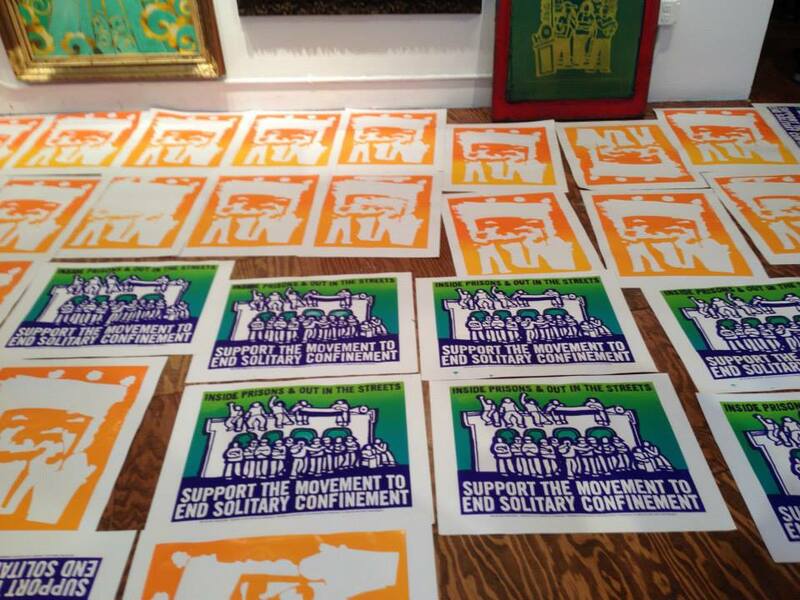 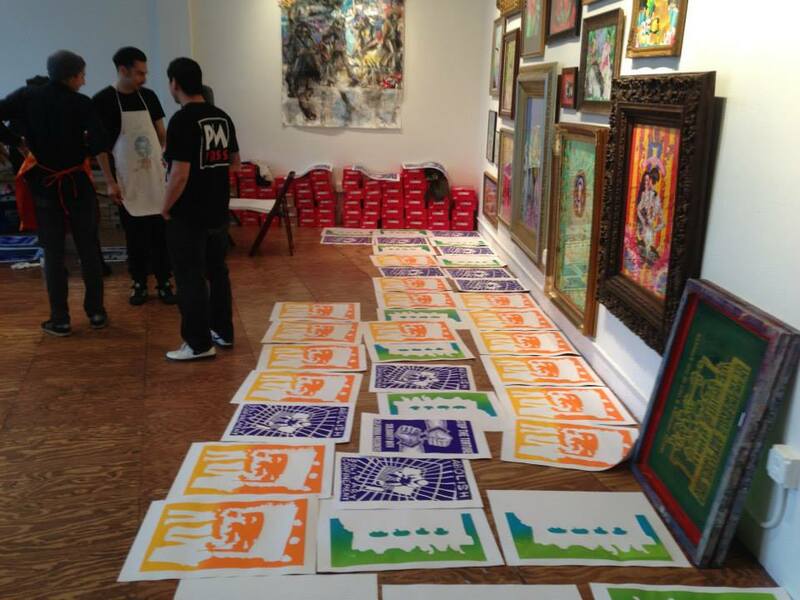 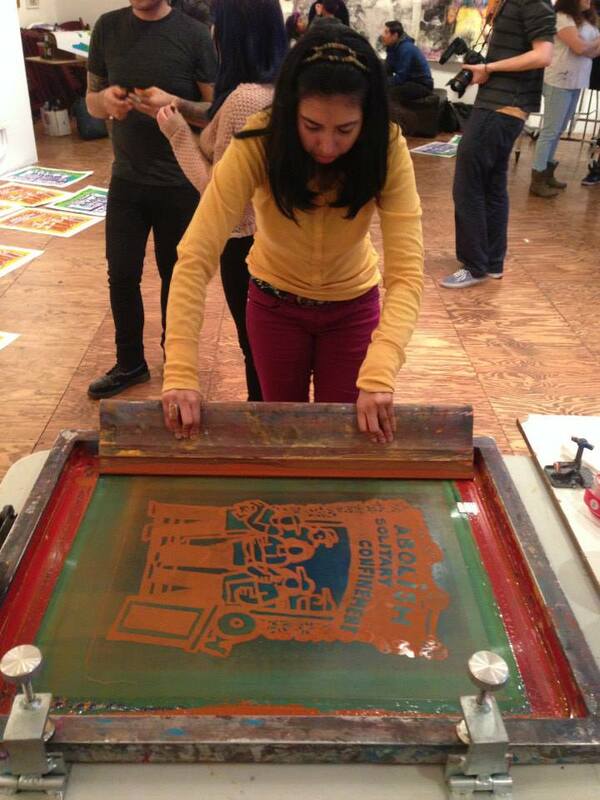 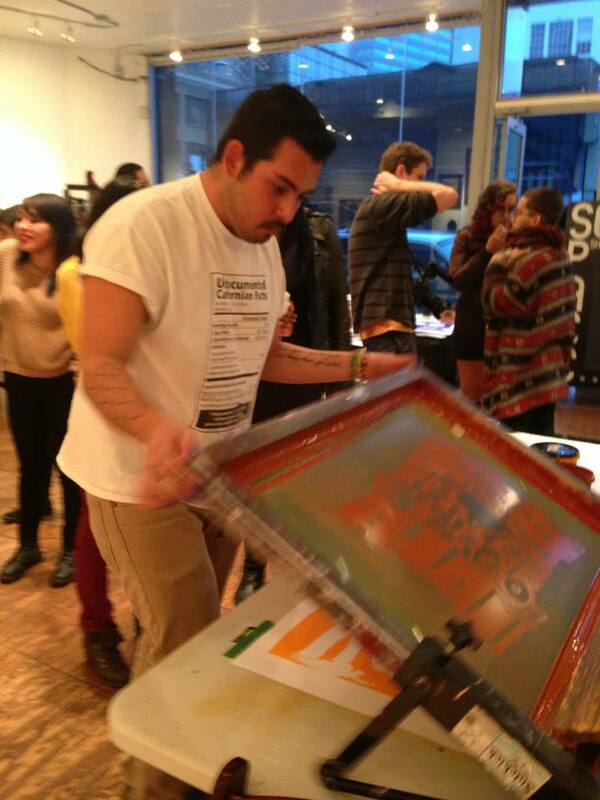 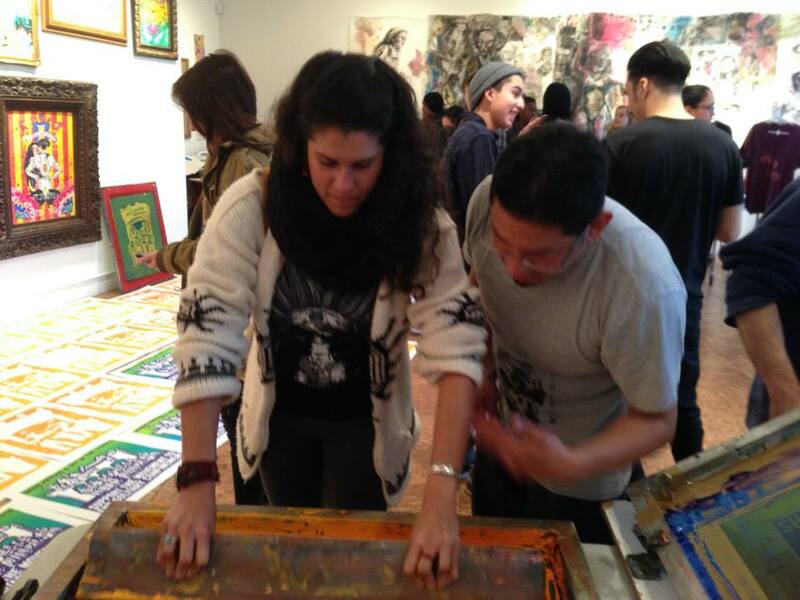 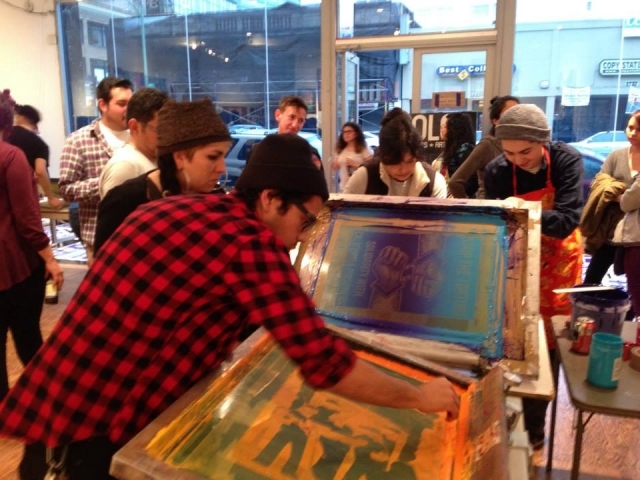 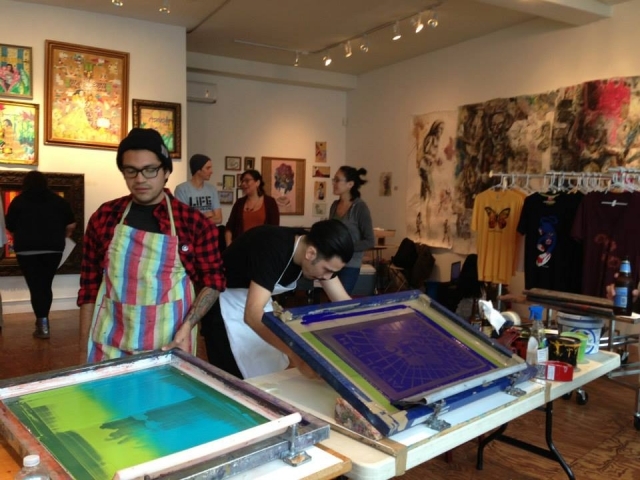 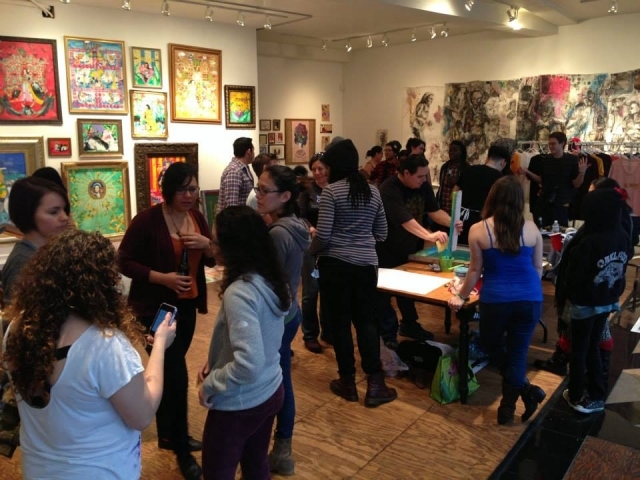 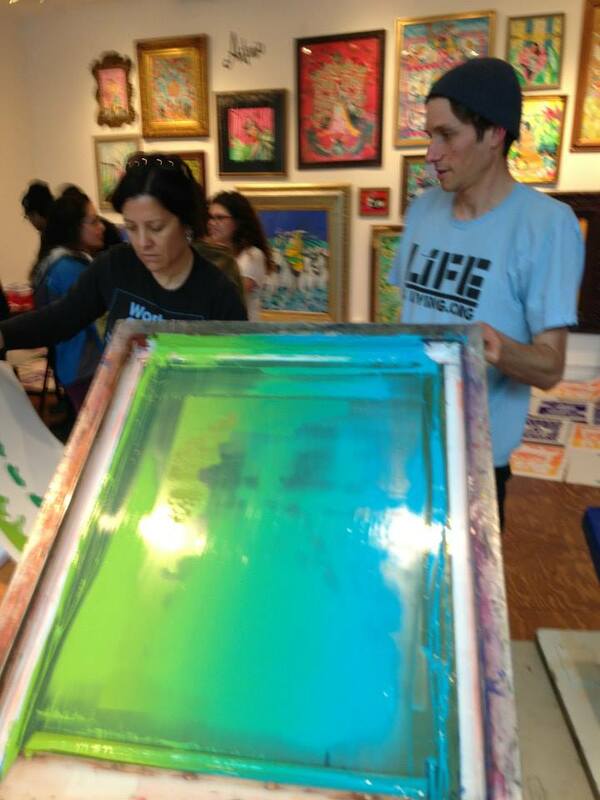 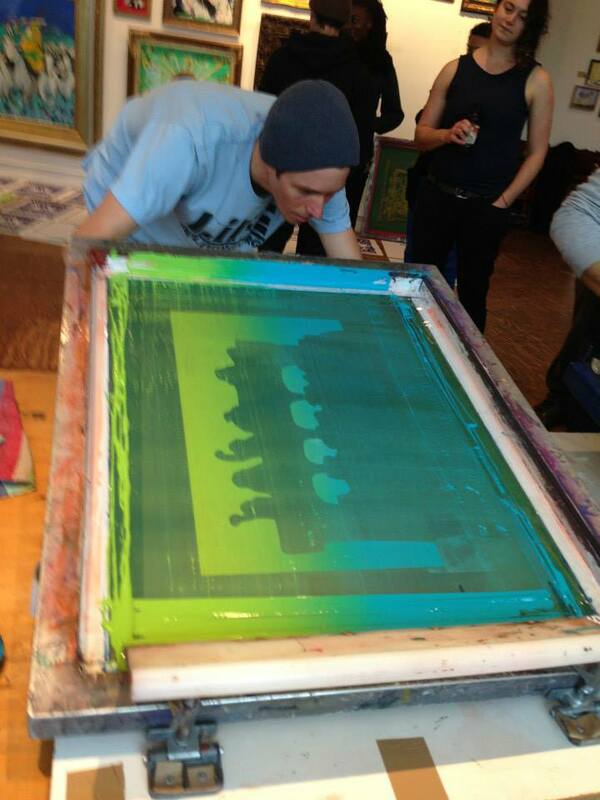 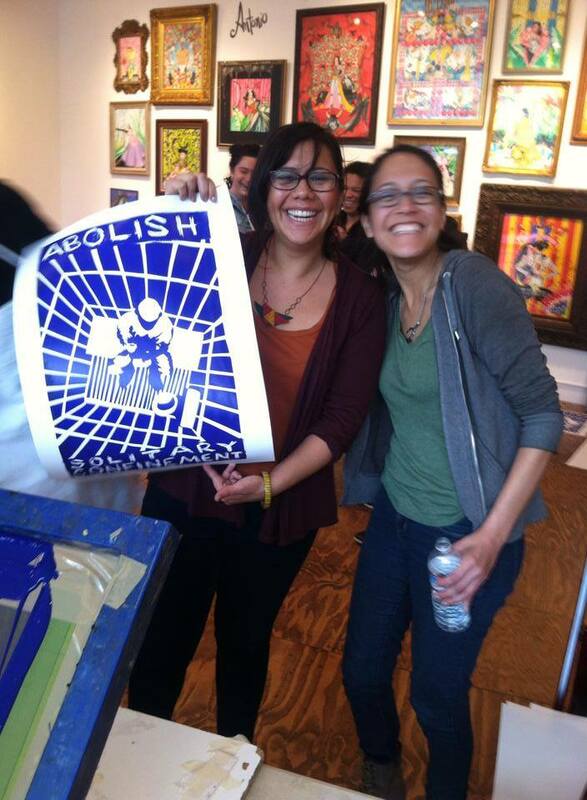 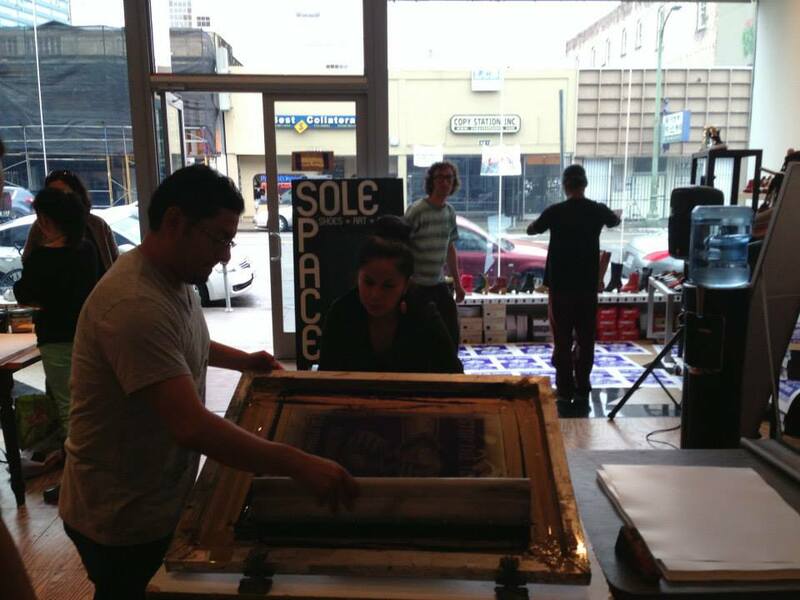 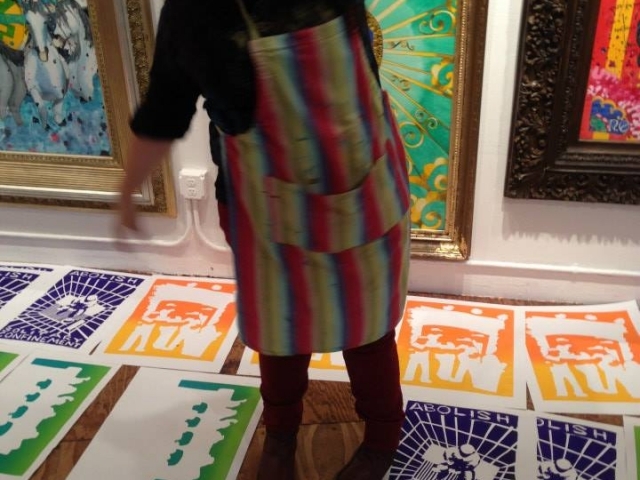 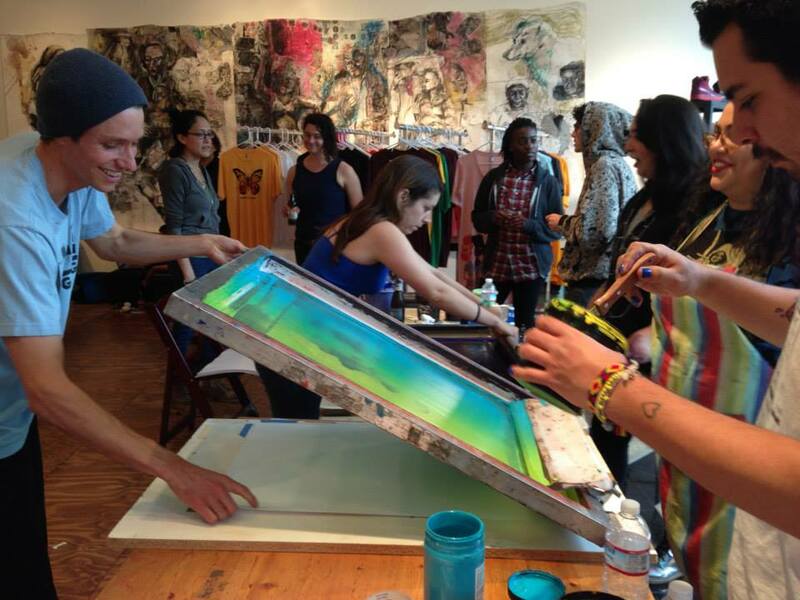 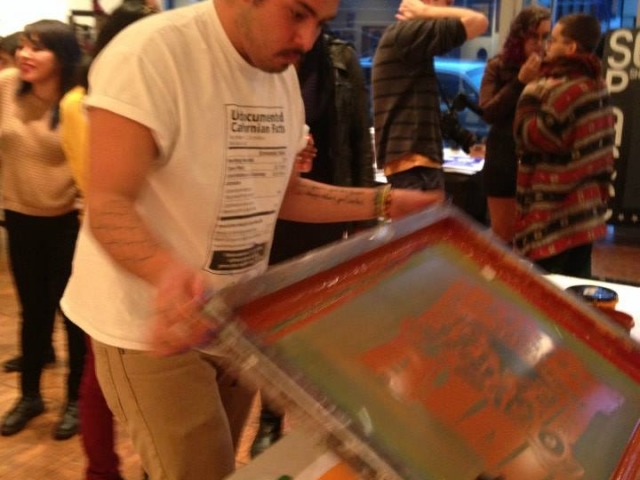 In February of 2014 Melanie Cervantes worked with Critical Resistance to organize a Print Party bringing artists organizers and community together to create art in solidarity with prisoner led movements to abolish solitary confinement in California state jails. 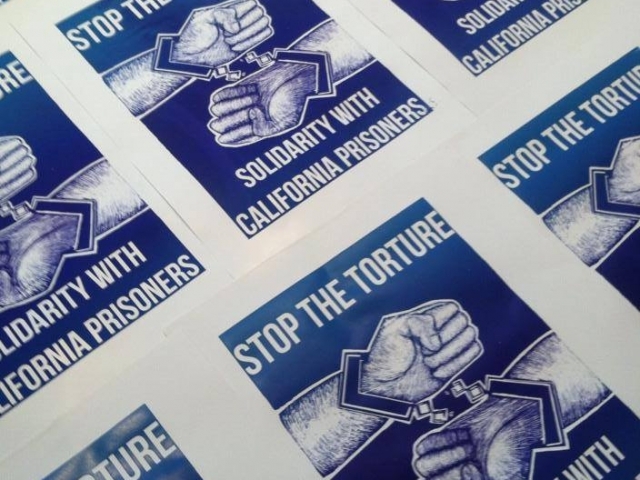 The workshop hosted by SoleSpace started with members of Critical Resistance explaining the movement and the ongoing prisoner hunger strike that was happening at the moment. 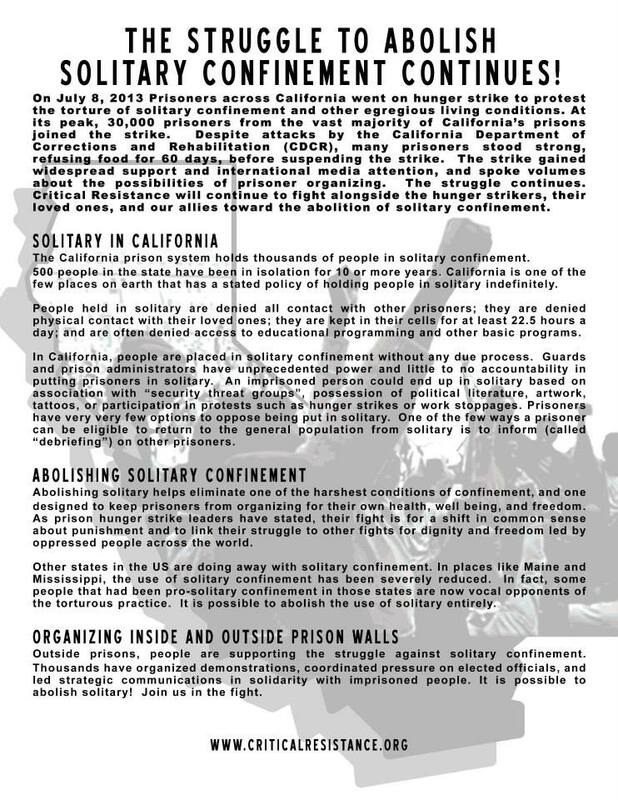 Inviting everyone to Sacramento for the upcoming Legislative hearing on the issue of banning solitary confinement and rally to support the movement where the posters produced that day were headed. 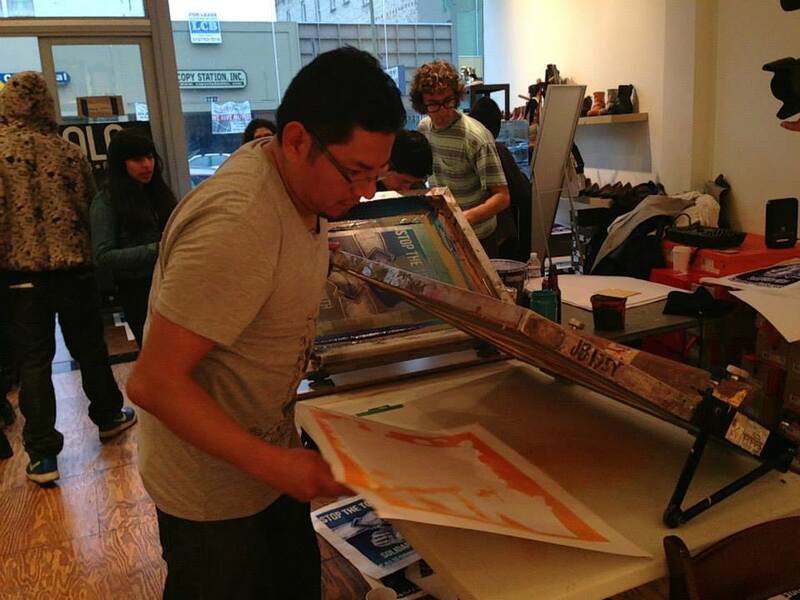 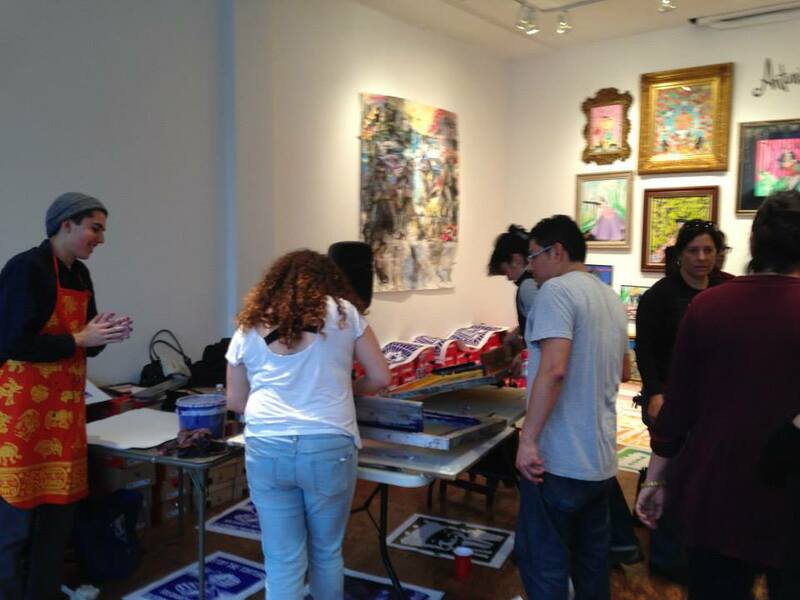 Artists from the Taller Arte del Nuevo Amanecer were invited to create designs and along with artists form the Taller Popular 28 de Junio from San Francisco participants learned to print and helped produce posters for the people. 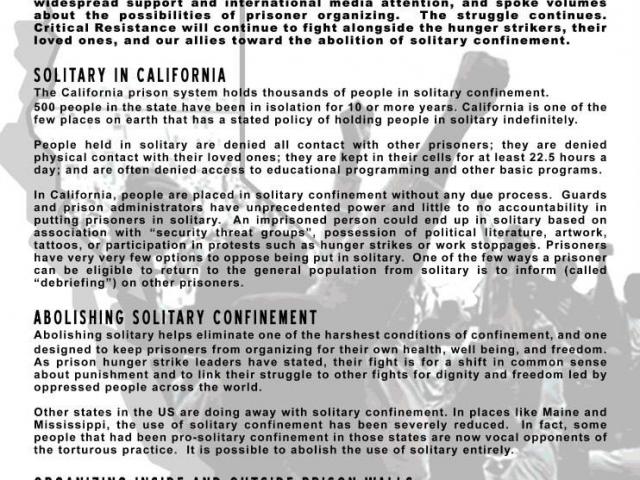 Text from the flyer – Do you believe Solitary Confinement should be abolished? 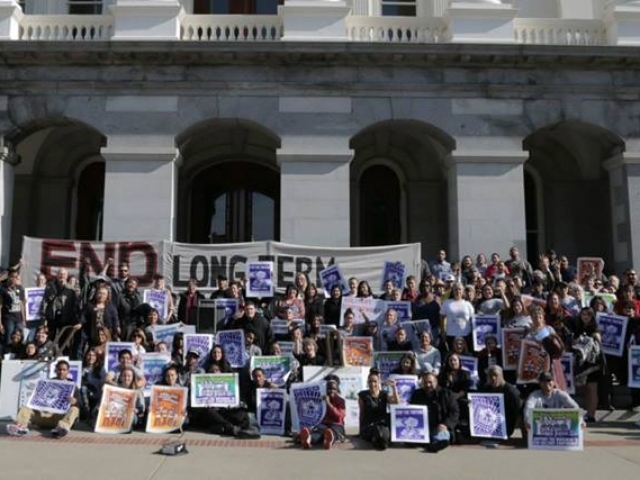 Do you believe the whole prison industrial complex should be abolished? 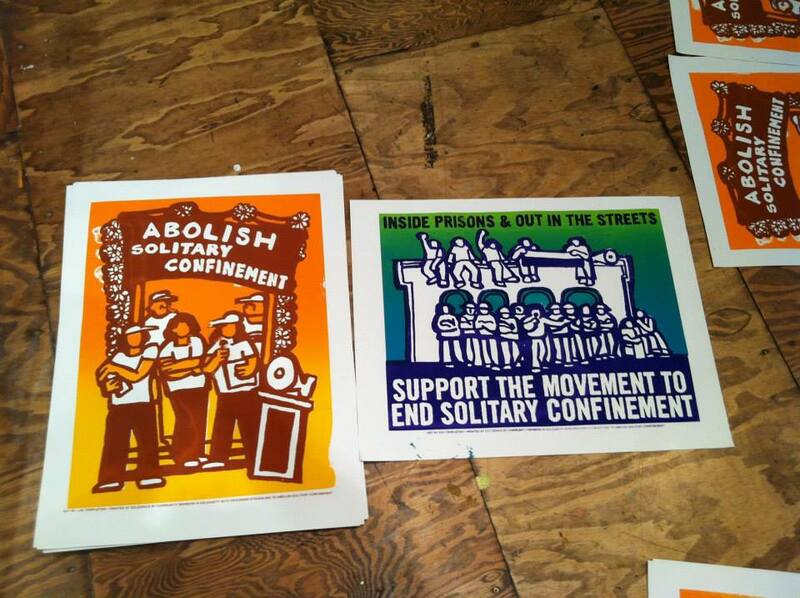 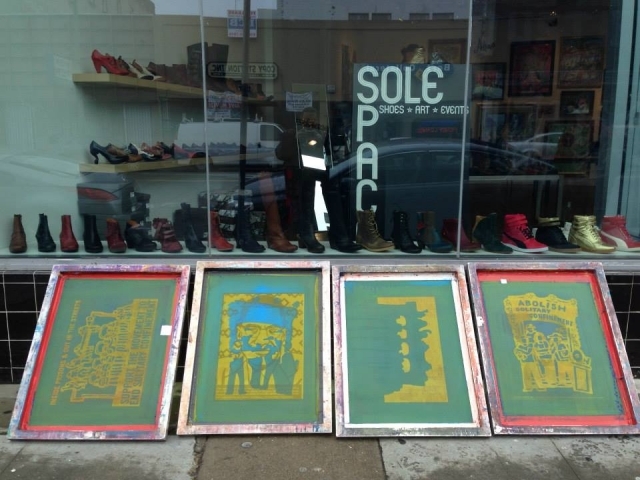 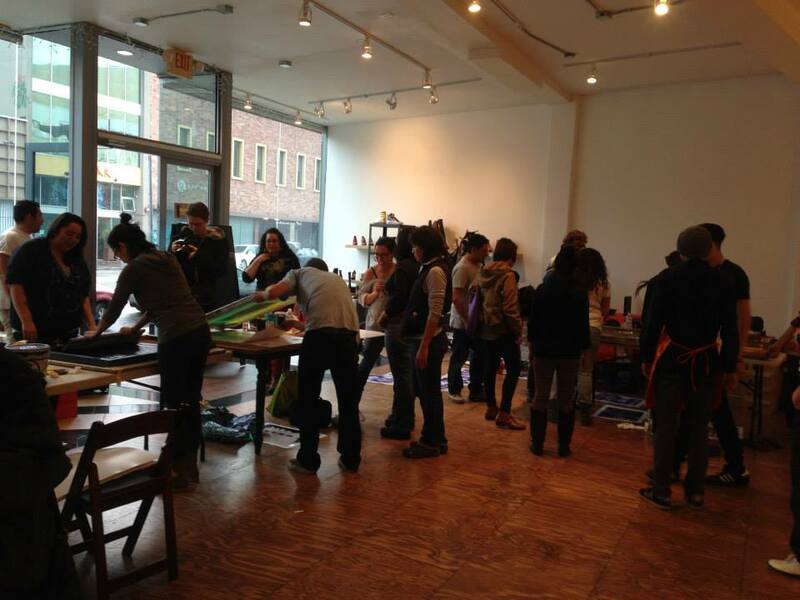 Then join us this Sunday from 2:30-5pm at SoleSpace (1714 Telegraph Ave) in Oakland for a print party to create solidarity posters to support the prisoner-led movement to end long term solitary confinement. 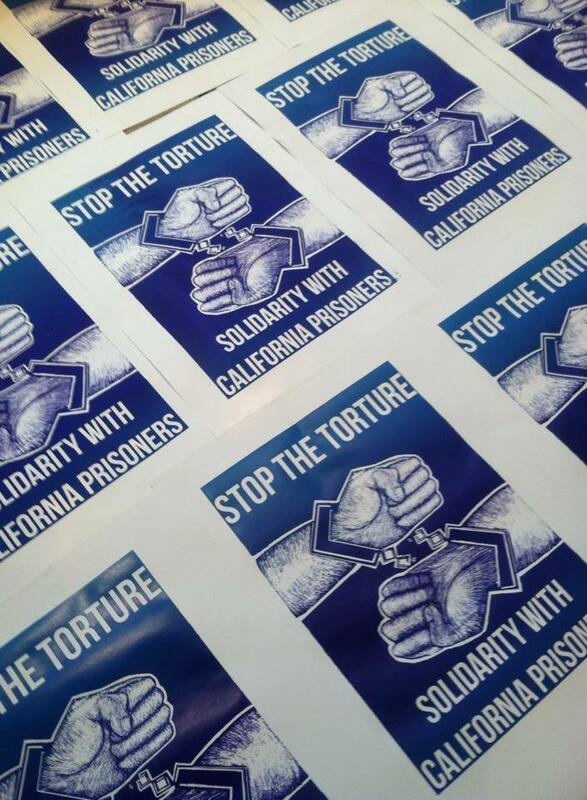 All the posters we make will be distributed during the rally in Sacramento.